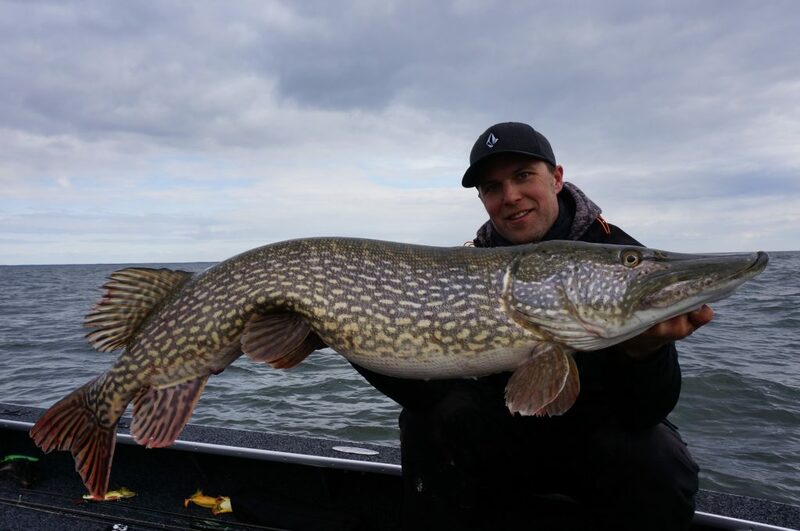 Crazy fishing trip to Vänern with a 13,5kg monster pike! Crazy fishing trip to Vänern with a 13,5kg fish! 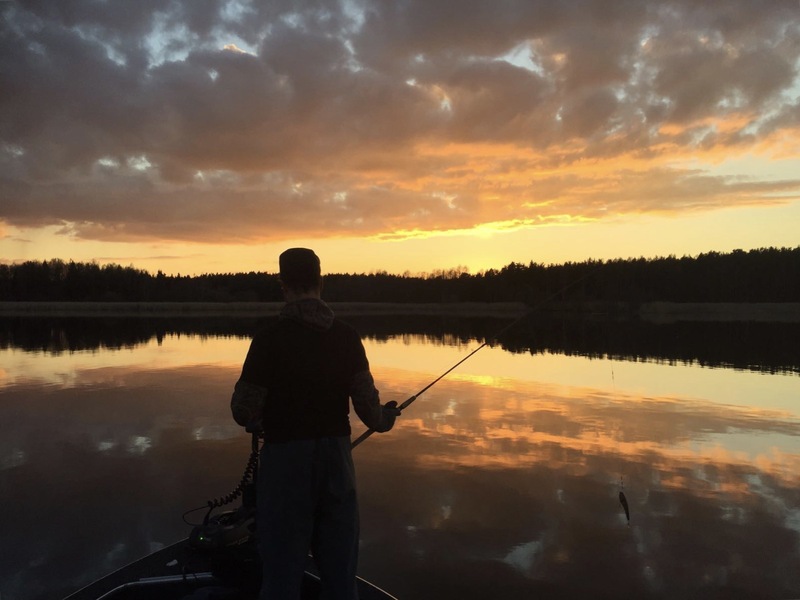 Sean and Jesper are back from yet another crazy fishing trip to Vänern in Dalsland, Sweden. Conditions where rough on lake Vänern, to say the least. Frost, rain, heavy wind, even snowstorms! But they made the best out of the situation and it paid off! More than 150 fish with over 60 pike crossing the 90cm mark and 23 100cm or bigger! Top fish 119cm / 13,5kg and a 116cm / 11,5kg! As the week progressed temperatures kept rising and thus pike migrated back into the bays. We tried to do best of both worlds, focussing on the bays whenever conditions where good enough. Jerkbaits and softbaits did the trick. We didn’t try any trolling since the casting / spin fishing was so productive (like last year). We tend to choose the technique that appears to be the most productive in our point of view, but hooking monster pike like these casting / spin fishing beats getting them trolling. Next stop: Sean and Frans will do a trolling trip end of June. Meanwhile Sean has been guiding on Vänern with some assistance from Jesper as a 2nd guide for bigger groups. More on that in another update! 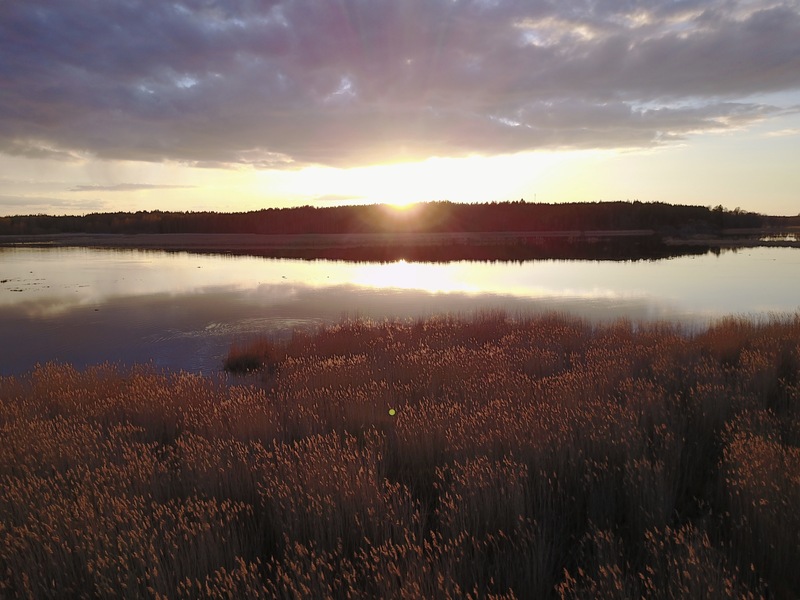 Spring Fishing Madness Volume 2 is in the making (with some awesome drone footage!) and will be up as soon as possible! Stay tuned on our website or YouTube channel so you don’t miss out anything! Next year we will participate once again in the Swedish Predatortour, hoping we will improve our 4th place in the 2017 edition. 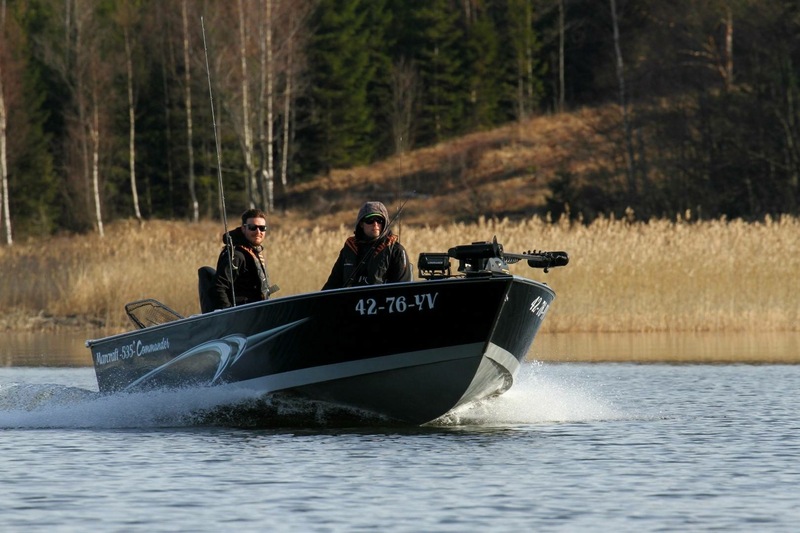 Lets hope it will be yet another crazy fishing trip to Vänern :P Make sure to check out the video about our experience at the Swedish Predatortour on lake Vänern. 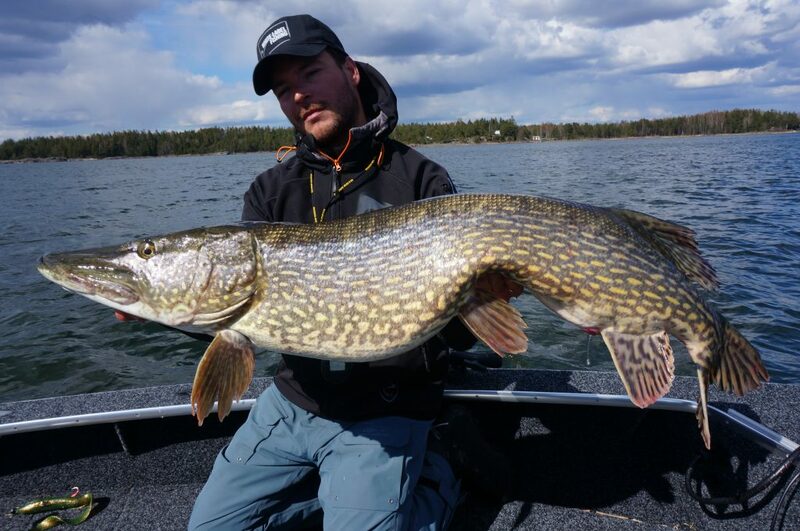 Massive 119cm / 13,5kg Vänern pike! Massive 116cm / 11,5kg fish for Jesper on Day 1! The new Marcraft 535 Commander performed superb!